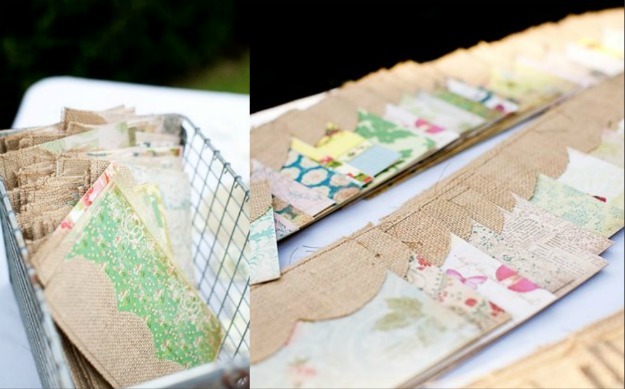 Organization is key to wedding planning. 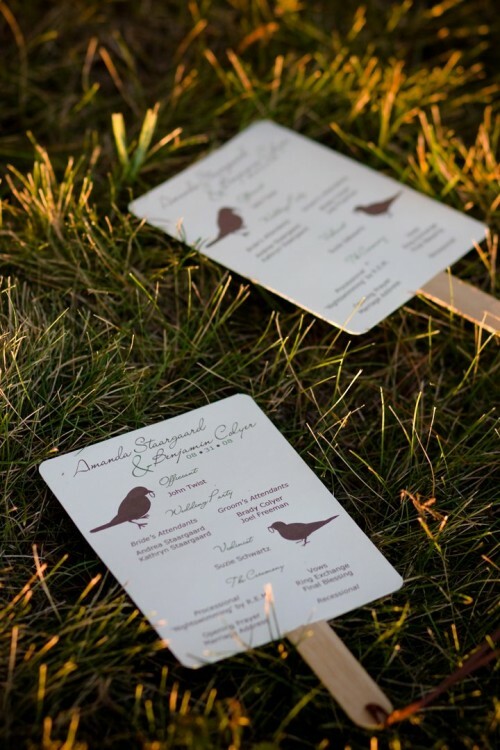 After all, guests should be aware of what’s going on, but not too aware if things go awry. 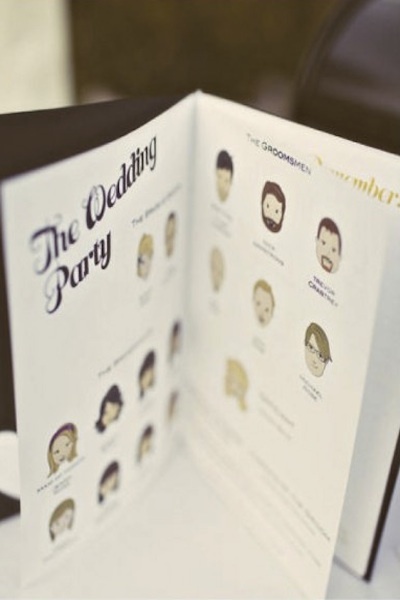 A wedding program is a good starting point to keep your guests entertained, happy and informed throughout the ceremony. 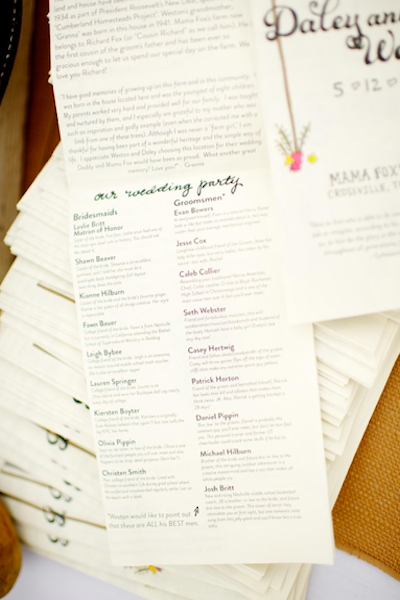 Programs are an extension of your wedding stationery and a keepsake of your special day. 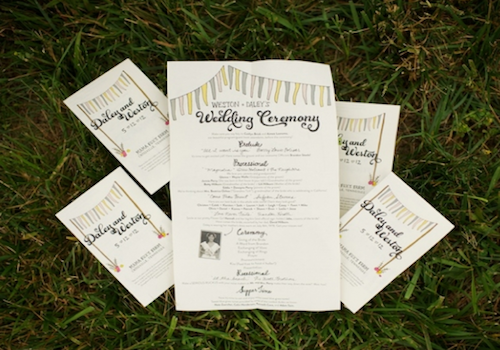 A basic wedding program can include your names, wedding date, location, order of events and names of the wedding party (including officiants and parents). 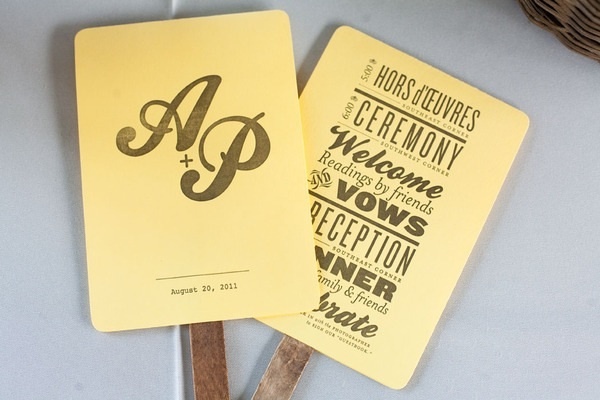 Depending on the type of ceremony, you can include the names of readings, poems or songs and even an explanation of parts of the ceremony. 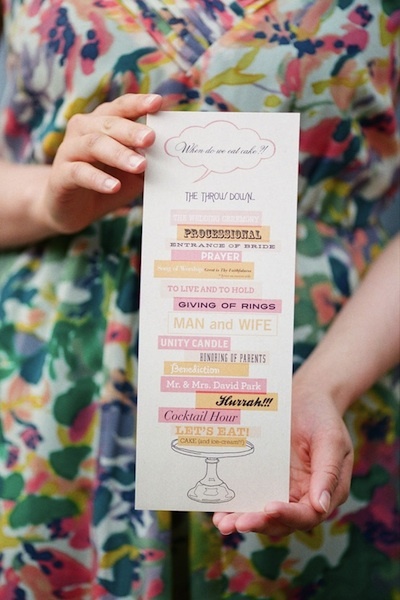 Programs are a great way to elaborate on rituals and traditions that your guests might not be familiar with. 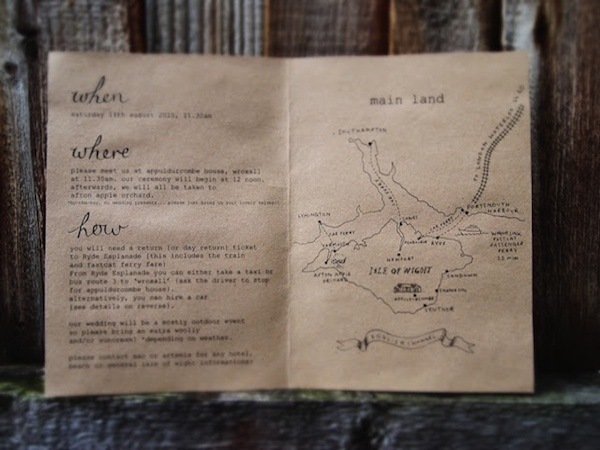 You can also add directions to your reception, audience requests or why you chose the specific location or venue. Feel free to add as much or as little detail as you like. 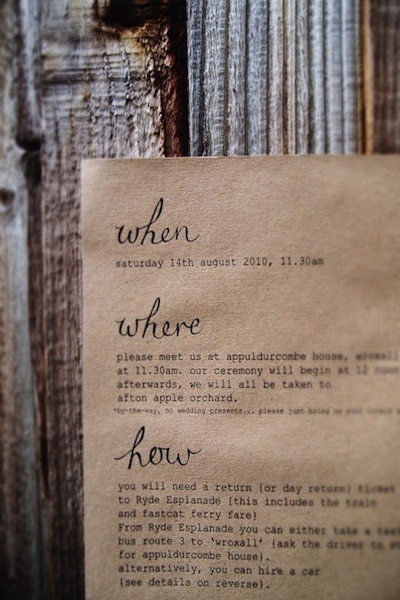 Some thoughtful additions include the story of how you met; your engagement story; how you know the wedding party and what they mean to you; thank-you notes and tributes to loved ones. 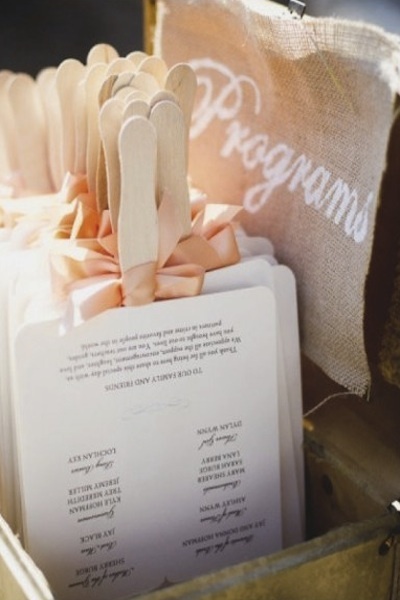 If you have many people to thank, a program is a great way to mention everyone – just in case you forget during the speeches. 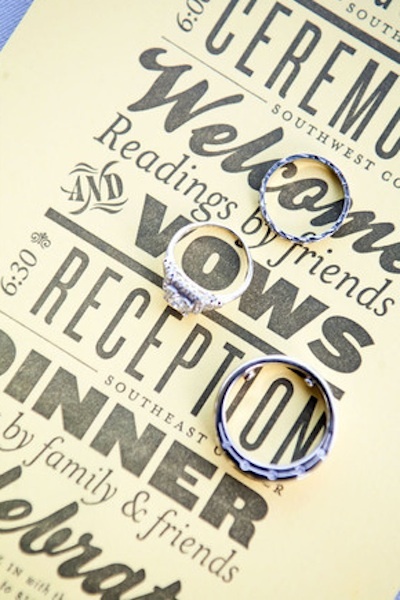 You can incorporate your artistic abilities and show your creative side with hand drawn pictures and even cartoons, depending on how simple, humorous or romantic you would like it to look and sound. 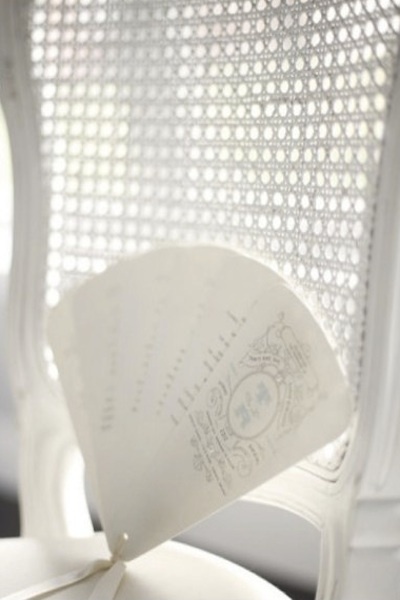 Programs should represent your style and story. 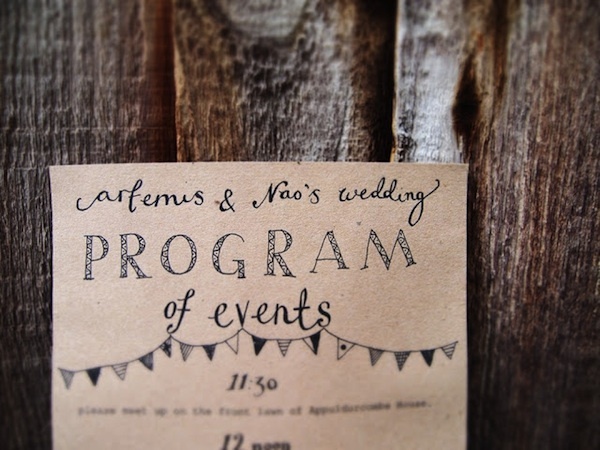 If you enjoy writing, why not use programs as a way to elaborate on the important details of your wedding day? 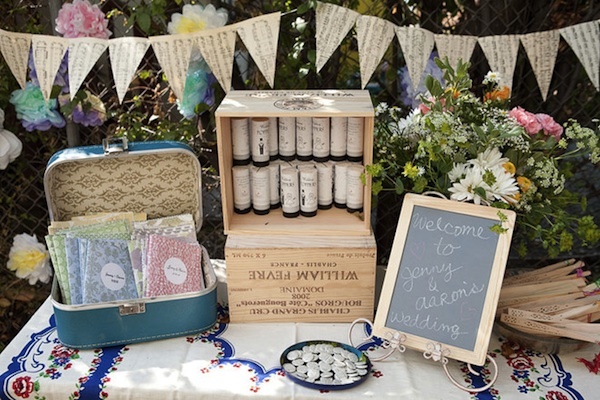 Knowing the back story will build interest for your guests – creating excitement for your guests. Photo one: stephanielaursen.com; Photo two: stephanielaursen.com; Photo three: junkaholique.com; Photo four: junkaholique.com; Photo five: junkaholique.com; Photo six: justinwrightphoto.com; Photo seven: carolinetran.net; Photo eight: melissabaum.com; Photo nine: melissabaum.com; Photo ten:Intimate Weddings: Photo eleven: lilia.com; Photo twelve: Intimate Weddings: Photo thirteen: justinwrightphoto.com; Photo fourteen: justinwrightphoto.com.